As I pick up this book, Mothering A Muslim, to read – not as a hindu / muslim or a mother but from the space of a by -stander observing the indiscriminate errosion of values and seeing the manipulation of the political parties to stay in power , joyfully eating away like termites the foundation of thousands of years of culture and secularism ; a whole plethora of questions race through the ever inquisitive questioning mind . 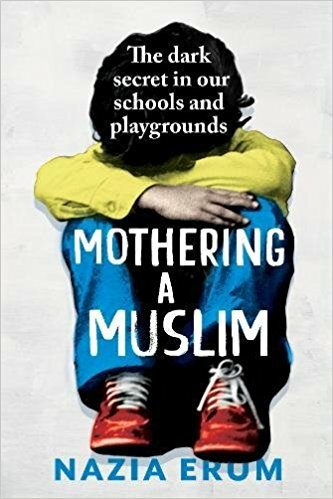 In the authors words herself she is an educated working metropolitan woman but has she not given in to the forced dictats of a unstable society by making a seemingly forced choice of choosing a non -muslim name for her own daughter . The book ended before it started …..Is it not taking away the heritage and lineage of a being before she can make her own choices ? A mothers fears and apprehansions are understandable BUT how long does having a non-muslim name save you in today’s times from being identified as a muslim that you are ? Are we as parents at birth itself not enforcing our bi-polarity onto our children stripping them of the most vital essentials -their self worth their identity ? Where are we in denial of being the perpetrators and enforcers for instilling fear in their genetics even before they take their first steps ! It was heart warming to read about Azania khan ‘s refusal to change her name ” if it means that I will be discriminated against for my name , I will take it ” . It gives hope that the new generation is here to stay …. Nazia Erum does lift the heavy veil on the taboo subject of communal bullying , one spoken only in whispers ! And yes the book is definitely a heart wrenching and deeply troubling recount of the constant trauma a muslim child and eventually the parents are being subjected to in todays supposedly progressive times ! It is not the people refusing to see ME , when I cannot see Me myself it is easy to be entrenched in the blame game of denial and caste creed gender religion and social economics . In these modern times where the world is in the vicious grip of insanity and Islamophobhia what if a new and more direct approach , speaking with our children is the actual need of the hour ! The book cover reads ‘ the dark secret in our schools and playground ‘ True , the stigmatization the ostracization is disquieting but a question here – isn’t a child’s first playground and school its very own house the mother a childs first teacher ? Is it not first the story and consequence of the blinders we as parents have put on , to the world outside our religion our country that is now coming full circle . In the 80s it was the christian students who felt the need to stay invisible , most were from EWS( economically weaker sections ) , I recall a incident from school days where class 6 students put glue on the chair of a christian math teacher and the chair stuck to her sari … this too in a convent ruled by Irish nuns ! Are we as parents willing to take responsibility that it is first and foremost we who are fanning the fire of communal fear for our children over simple dining table conversations and family discussions ! We cannot stop the progress of technology and media from entering and influencing the lives of our children , but we can as mothers , as parents be instrumental in helping them formulate and compute the chaos in the outside world with ease through direct dialouge ! Dr. Farrukh Waris retired principal of Burhani collage of arts and commerce , mumbai so pragmatically shares her ideology .. she says ” we just need to build their ( the children the new generation ) intelligience to understand human rights , have value systems and let them sort it out on their own . The author writes” today just as we must wear our nationalism on our sleeve for the world outside , similarly we have to wear Islam on our sleeve inside the community . There is no tolerance on either side our children too are caught in this impossible vortex . Rightfully said but is it not the time now to step out of our communal bias and be the demand maybe not for ourselves but for the coming generations or have we already given in to the scheming games of the politicians the world over ! It is a simple matter of making that ‘choice ‘to stand up and rise above the distractor implants of our irrational fears and be the voice even if it means to stand alone for the time being ……. Thanks for publishing this book review and more importantly, the book itself. It is really sad to see that India, a country which only the other day presented itself as one of the finest of democracy, inclusiveness and religious tolerance has fallen so much morally especially after Modi’s Hindutva policy that has since nurtured the ugly among its people. These are truly sad moments for India and for its Muslims in particular and the minorities in general!